Francis VARING is shown ca. 1880 [?] 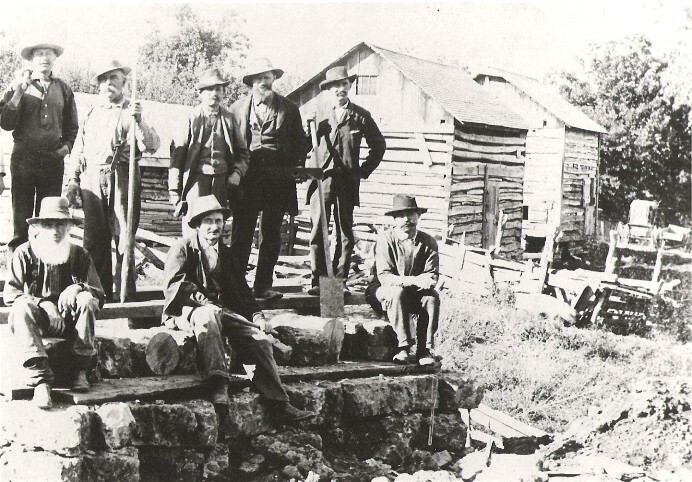 with a group of men building a bridge or repairing a road south of Scales Mound, Jo Daviess County, Illinois. He is shown seated at left on the front row. His son, Louis VARING is seated on the front row, second from left. The other men are unidentified. If you have any information, please let me know.